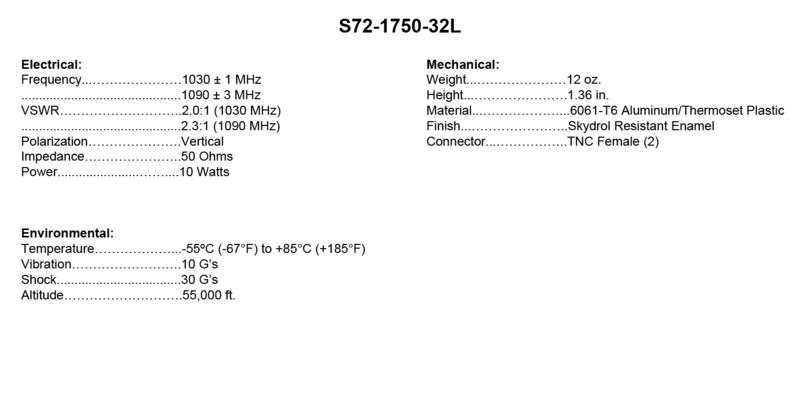 S72-1750-32L: Traffic Collision Alert Device (TCAD II) antenna. 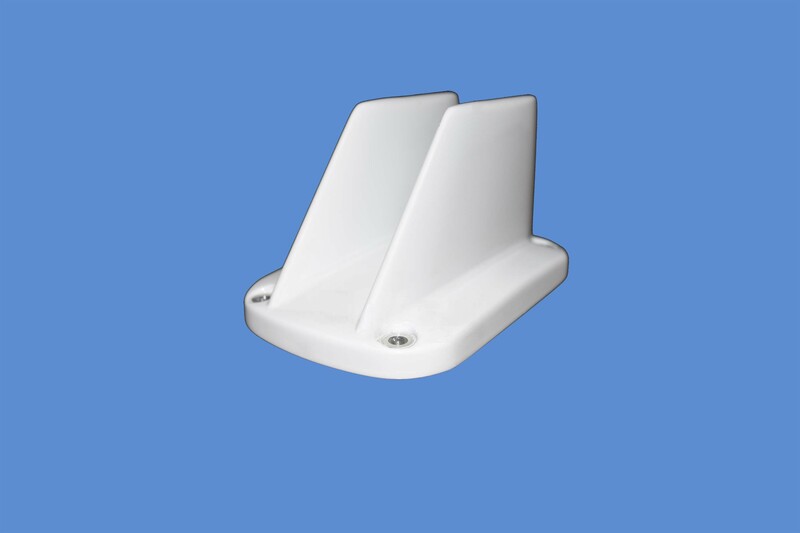 It is a low-profile single blade antenna designed for mounting on top of the aircraft. 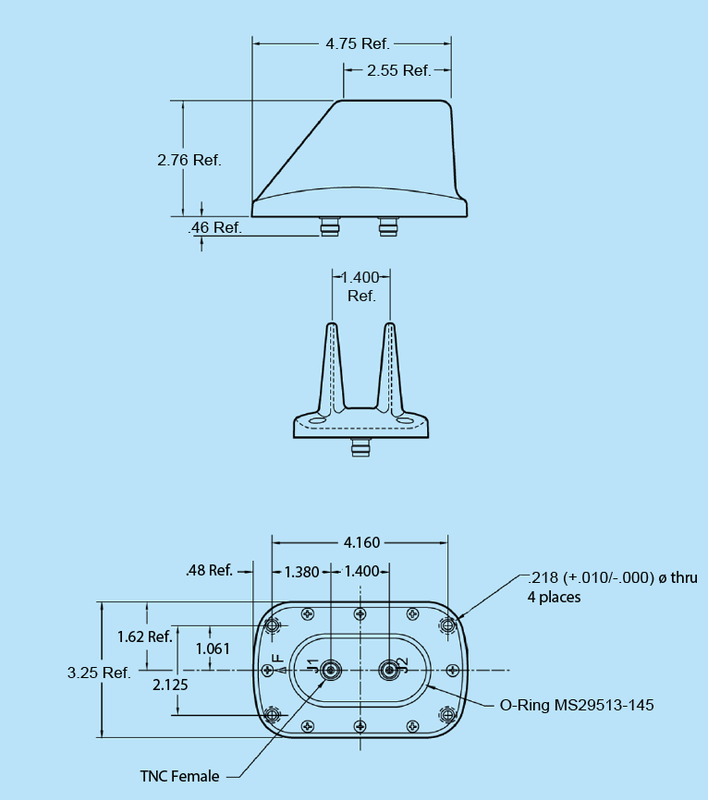 The mounting configuration of this antenna features a four-element array that is compatible with the Avidyne TCAD II system.